#1 Updated: What is Heartbleed? This past Monday will go down in the history of the Internet forever, since that was the day when the world came to know of the existence of the crucial security flaw in the OpenSSL library – a bug that allowed attackers to exploit any secure system and collect up to 64k of otherwise-considered-secure information from any server employing the vulnerable SSL protocol; a bug that was dubbed Heartbleed. The famous mobile security company has released a free app over at the Google Play Store that will allow users to check and verify if their Android is vulnerable to the exploit. 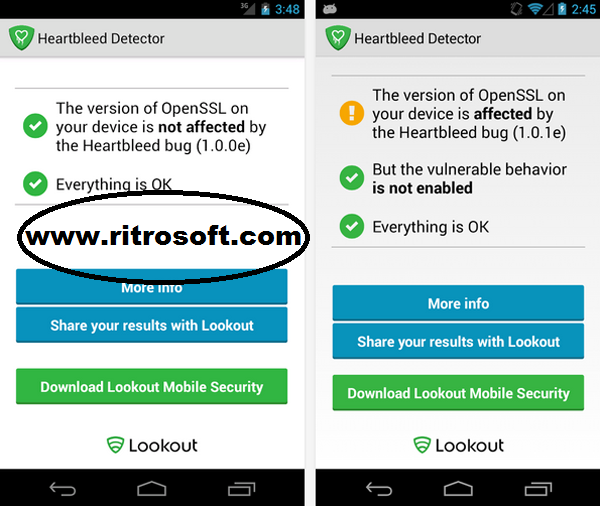 The app, named Heartbleed Detector, will check what version of OpenSSL your device is running, and based on the information, advises whether you have been affected or not.